Trends come and go. It doesn’t seem like long ago that a lot of us were drilling holes into our bars and running tyres thinner than inner tubes in a futile attempt to shed those extra few grams. Luckily those days are gone and whether you love it or hate it, the new generation of Deadline inspired street riders ready to go down a 25 stair handrail on both sides, has caused BMX brands to redesign their products, making them stronger and more resilient to today’s rapidly evolving level of riding. Sprocket Guards are hardly a new invention. 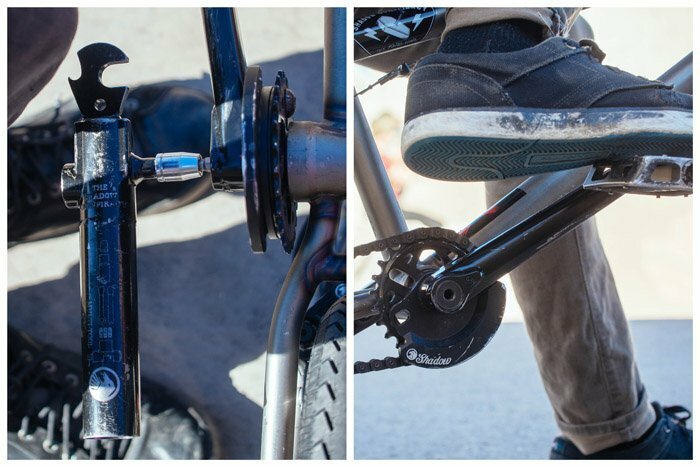 In the 90′s it was common to see slabs of metal bolted on dinner plate size 44t sprockets. But as gearing got smaller and after the invention of left side drive, they slowly started disappearing, and were eventually relegated to the clearance box in your local bike shop. 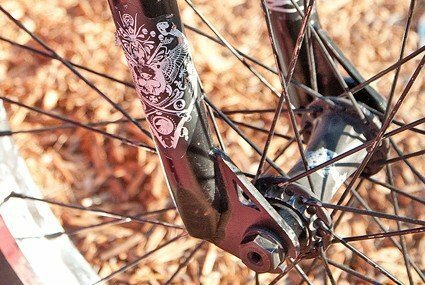 Fast forward to today and sprocket guards have had a huge resurgence. 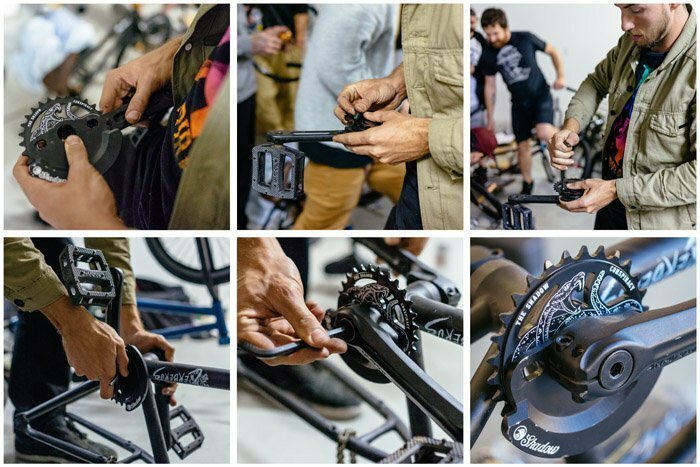 With grind variations being pushed to the extreme, the humble guard sprocket is needed once more to prevent riders from ripping their chains clean off during crankarm and crooked grinds alike. The Shadow Conspiracy have always liked to think outside the box when it comes to product design. 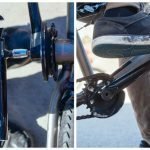 By taking old technology and refining it to not only look good but be fully universal and affordable, they have created another way to amour your bike up against the wounds of street riding without breaking the bank. 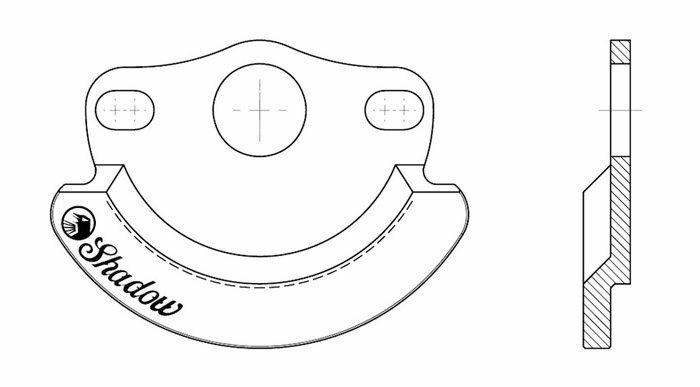 Here’s Shadow’s Product Developer Joey Juaristi explains how the idea came about to resurrect the sprocket guard and get it to work with almost any sprocket on the market. The Disaster Guard concept was born in the Shadow Design Vault over a year ago. 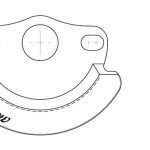 The design direction was to create a bash guard that could be applied universally to most sprockets. 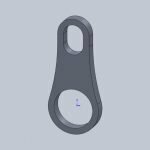 Since traditionally, bash guards were bolted to a specific sprocket, it was quite the challenge to design a way for the Disaster Guard to be applied to the bike without this limiting “Bolt-On” design feature. 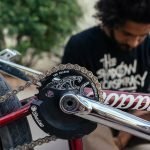 We came up with assembly process of the Shadow Disaster Guard while figuring out a way to get better chain alignment on our bikes without changing how far our crank arms were spaced from our frames. 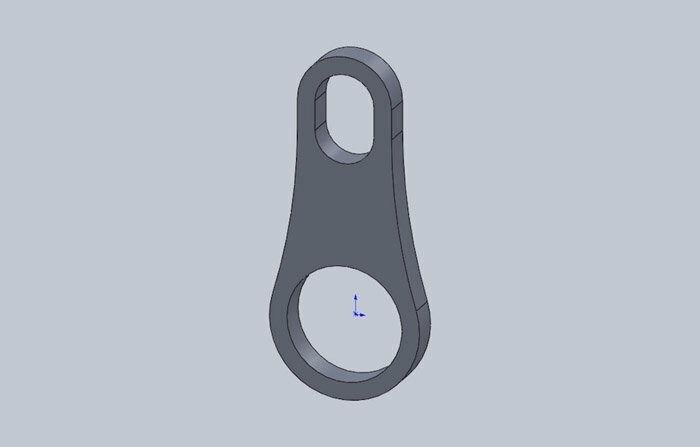 Playing around in our 3D drawing program, we created a spacer that was the same shape as the Shadow Killer Crank spindle boss. This spacer fit between the sprocket and crank arm and was held on by the spindle and sprocket bolt. No extra bolts at all. This allowed us to remove the inner drive side bottom bracket cone and obtain a better chain alignment as well as correct crank arm spacing. After playing around with our new creation, we decided that this would be the absolute perfect way to create the universal Shadow Disaster Guard instead! 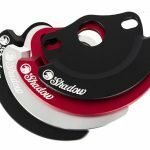 We used the same design features when creating the Shadow Disaster Guard and made sure that it would be strong enough to take today’s riding abuse and most importantly, it would work in conjunction with the strongest chain in BMX – The Shadow Interlock V2. 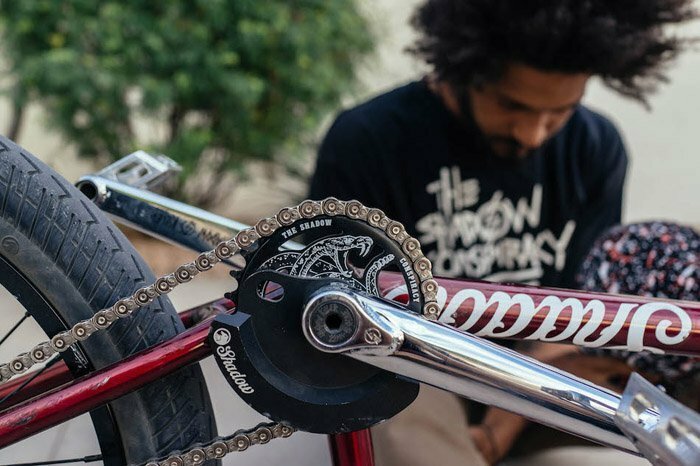 Most bash guards on the market will only accpet a regular chain. Disaster Guard and Interlock together. Can’t get any more burly. On to testing! When we started testing the Shadow Disaster Guard, we realized that most of our riders we’re not necessarily “bashing” the guard. They we’re using it to grind and we’re actually sliding on it. This required some small tweaks to the original design to make sure there was enough material for prolonged grinding, not just bashing. After withstanding the rigorous Shadow Supreme Standards testing process, we knew it was ready to be released to the BMX public. 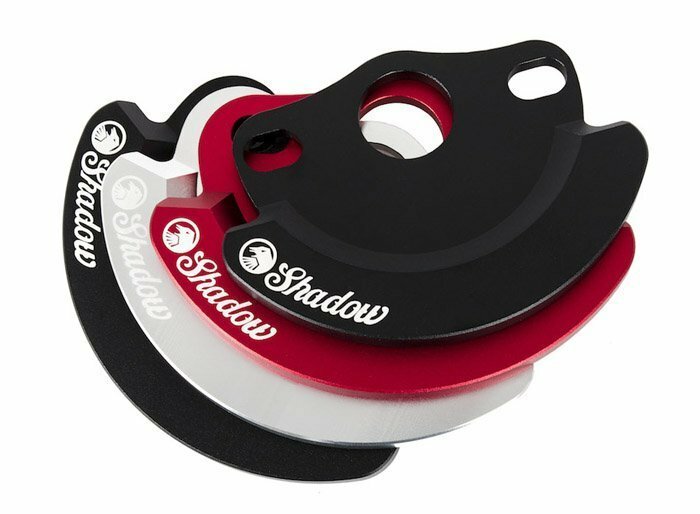 We are proud to introduce the next step in your grinding game, the Shadow Disaster Guard. The Disaster Guard will be available from Shadow dealers worldwide this March.